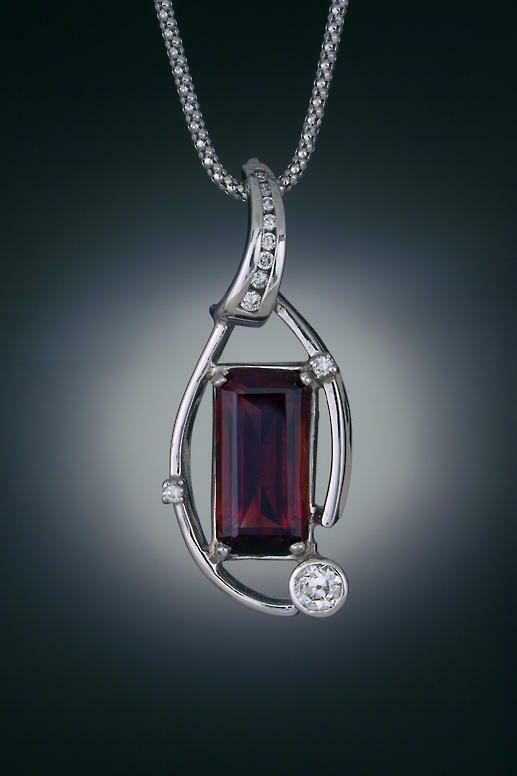 This is one of the most spectacular deep red sunstones that the Ponderosa Mine has out of the 2006 mining season. Produced. 8 1/3 carat sunstone pendant set in white gold with diamond accents.